KAMPALA – As Bank of Uganda officials return to Parliament on Thursday to answer questions over the controversial sale of Crane Bank to dfcu Bank, fresh evidence has been tabled before the committee and pins the former Executive Director for Supervision Justine Bagyenda for waiving the Financial Intelligence Authority (FIA) rules for dfcu Bank to evade loan regulations. 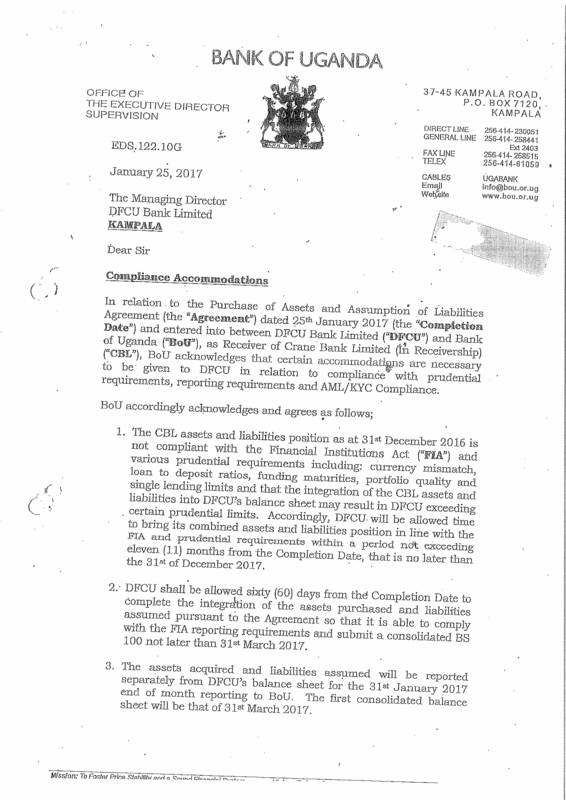 The evidence before the MPs, indicates that BoU officials wrote off Crane Bank Ltd loans amounting to Shs600b through unclear circumstances, and Ms Bagyenda’s January 25, 2017 letter to dfcu Bank Managing Director Juma Kisaame, giving the bank several waivers to evade the rules has been handed to the MPs as the sale of Crane Bank Ltd takes centre stage. 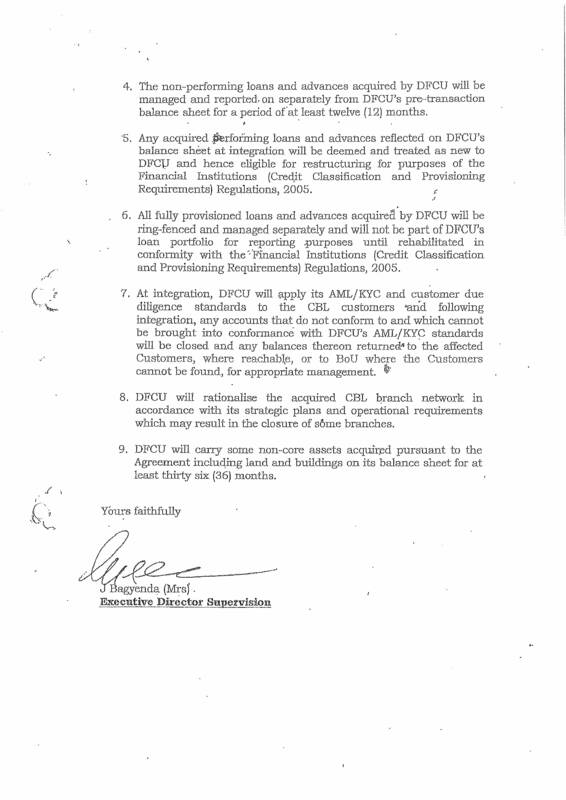 Ms Bagyenda, allowed dfcu 60 days to integrate assets of Crane Bank Ltd, and to report separately on the assets acquired and liabilities assumed from the controversial transfer, presided over by the central bank. The Bank of Uganda top official return to parliament on Thursday morning as the inquest into the controversial transfer of Crane Bank to dfcu Bank takes centre stage. On Monday, Mr Katimbo Mugwanya, a former director at BoU who was appointed Statutory Manager for the sale of Crane Bank, admitted that he had bungled up the calculations on how the money that was injected in Crane Bank was calculated, leaving the committee with no option but to adjourn the hearing to Wednesday. 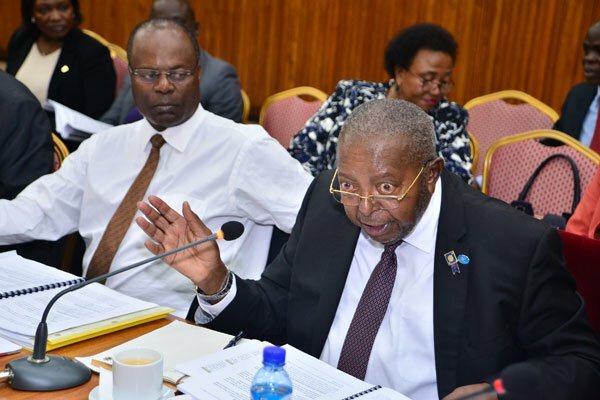 Governor Mr Emmanuel Tumusiime Mutebile told MPs he did not have figures regarding Crane Bank’s undercapitalisation but was contradicted by Mr Benedict Ssekabira, the Director Financial Markets Coordination, who said Crane Bank required a further injection of Shs157b for it to remain afloat. 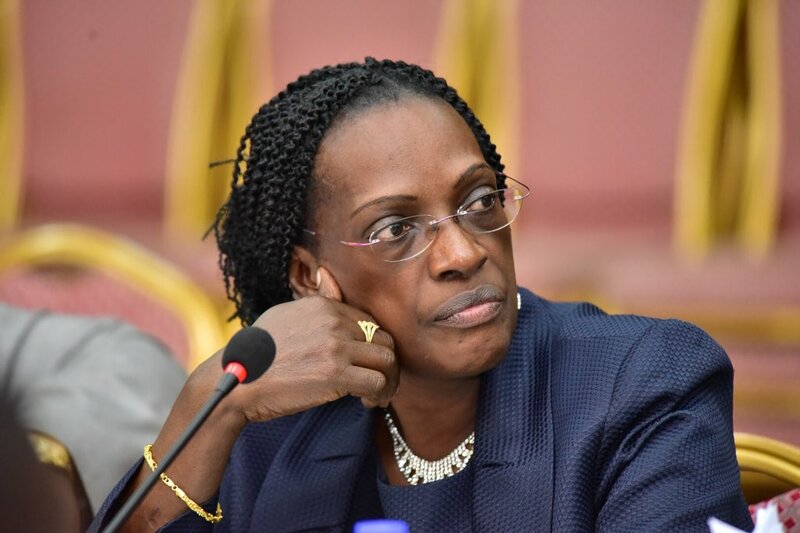 On the other hand, Ms Justine Bagyenda, who was the executive director of commercial banks supervision when Crane Bank was closed, indicated that the bank required an additional capital of at least Shs32b by September 15, 2016 and progressive capital of Shs56b if capital adequacy was to be restored by October 31, 2017.